London-based house and disco DJ, producer and former record shop manager. A record collector since 1982, and DJ since 1985, Jeremy has worked at Red Records (1988-1990), Soul II Soul (1990-1991), Catch A Groove (1991-1995), Release The Groove (1995-2001) and Reckless Records (2001-2005). A club DJ since Christmas 1988, he is perhaps most renowned for his residencies at Paul "Trouble" Anderson's The Loft and Bobbi & Steve's Soul Heaven in the late 1990s/early 2000s, as well as his own night, Right Area, at now-closed Madame JoJo's in Soho. 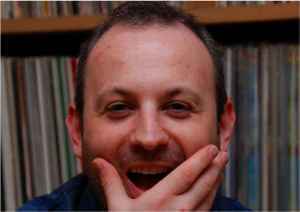 Frequently stood in for Trouble on Kiss FM and had his own shows in the early-mid 2000s on London radio stations CN Soho Live ("Elements") and House FM. Cites Tony Humphries, Ricky Morrison, Timmy Regisford, Trouble, Merlin Bobb, Larry Levan, Ron Hardy, François Kevorkian, Louie Vega, and Norman Jay as his main influences. Occasional producer from the mid 1990s to early 2000s, notably with Ron Trent and, later, Don Doobay (ex-Incognito). Compiled Disco Blueprints (The Original Inspirational Underground Disco Anthems) in 1999 and helped Ian Dewhirst oversee the Salsoul Records reissue programme at Suss'd Records. Worked for Apple from 2005 to 2014. Catalogue manager at Defected from May 2017.